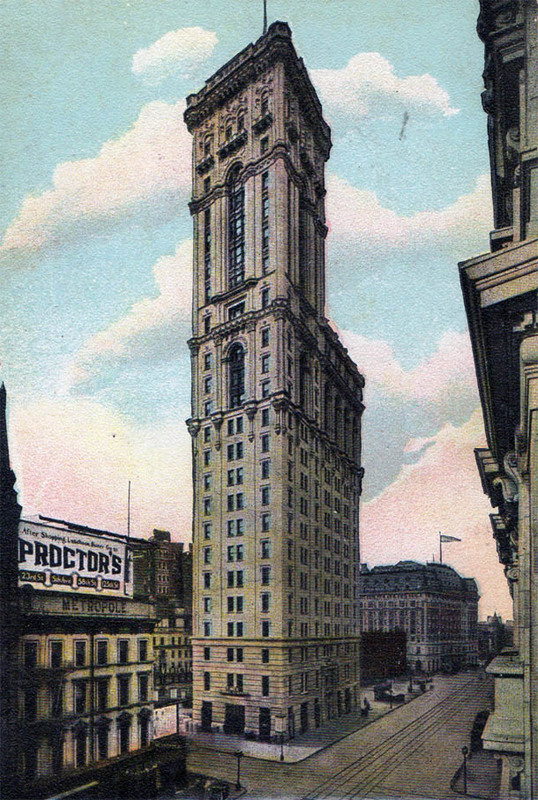 The Times Tower. A view of the back, looking north. Not the most practical building, really – it’s very narrow, which made for good ventilation in the pre-air conditioning era, but it seems as if you couldn’t type without knocking someone in the side with you elbows.